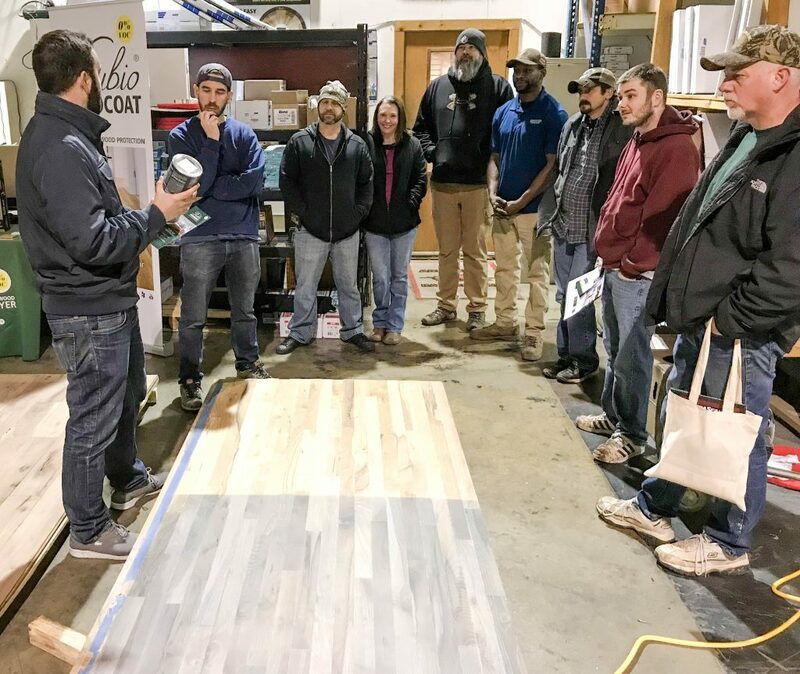 Want to learn how to save time and money while also creating a unique floor for your customers? 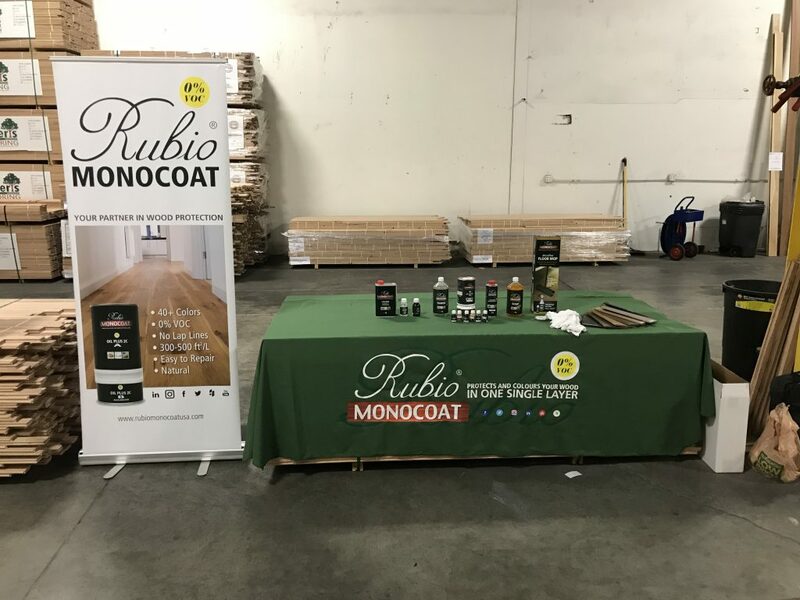 Rubio Monocoat doesn’t contain any VOCs, solvents, or water. 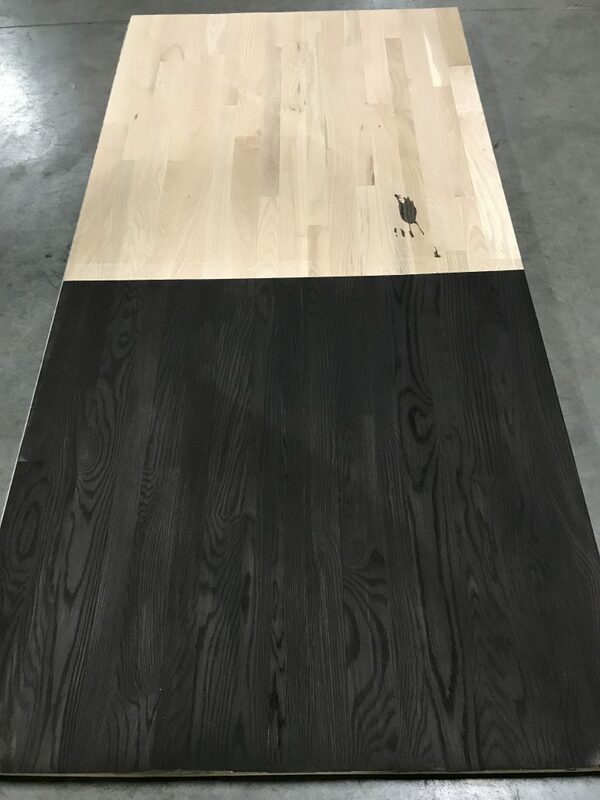 It is a natural oil product that binds with the wood fibers and doesn’t create any build-up or film. 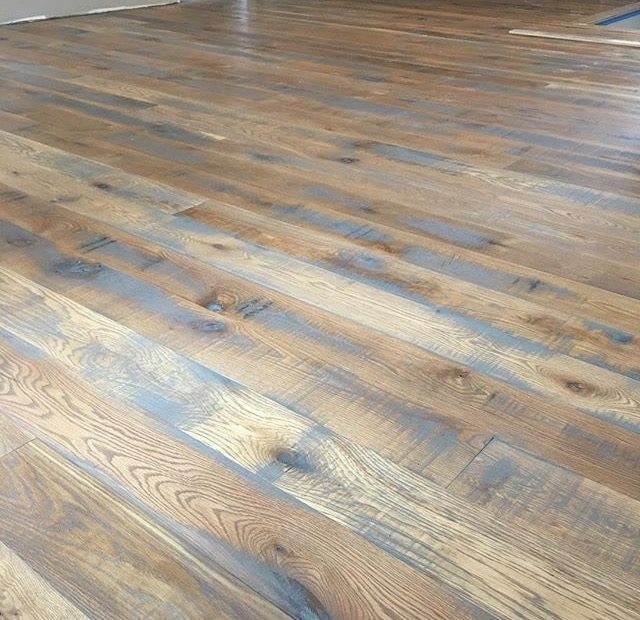 Can be used as a true one-coat system, or add several different fumed, smoked, or pre-color treatments to create a one-of-a-kind hardwood floor. 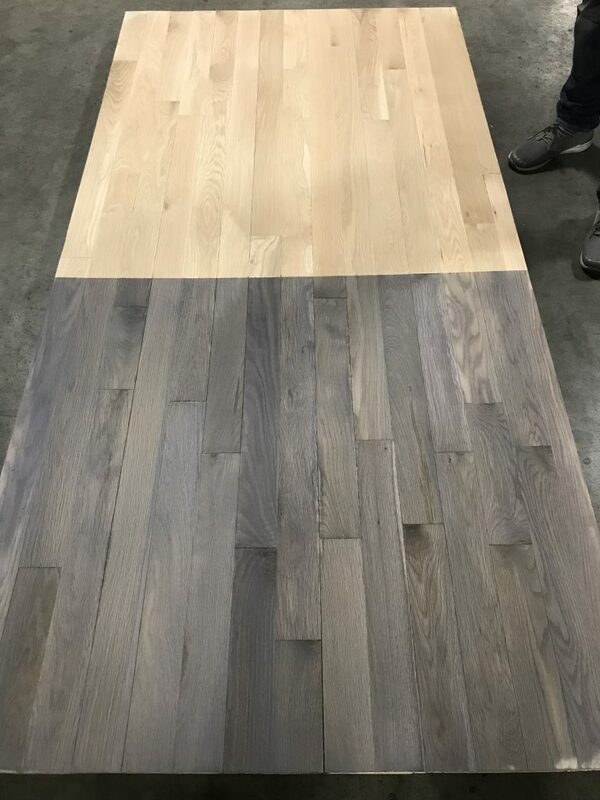 Color possibilities are endless – you get a natural ultra-low sheen finish that protects and brings out the true warmth and beauty of hardwood flooring. 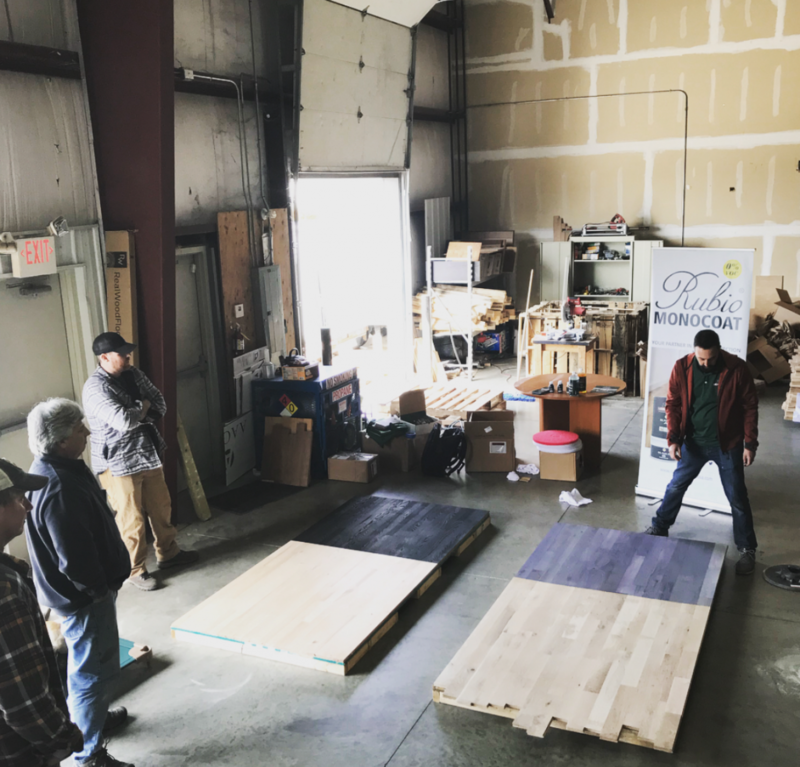 Give your customer the latest designer look, while spending a fraction of the time on the job site. 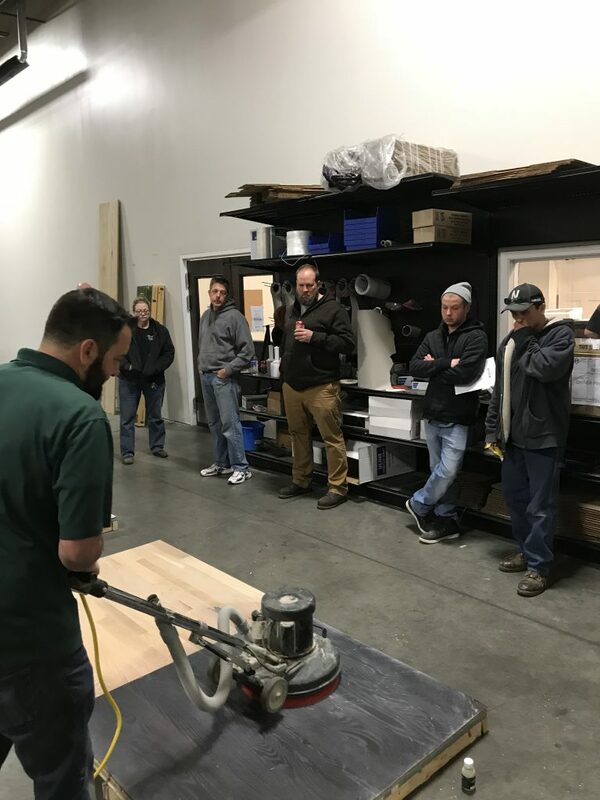 We’ve hosted four Rubio Demo Days in NW Arkansas, Kansas City, Cedar Rapids, and Omaha. 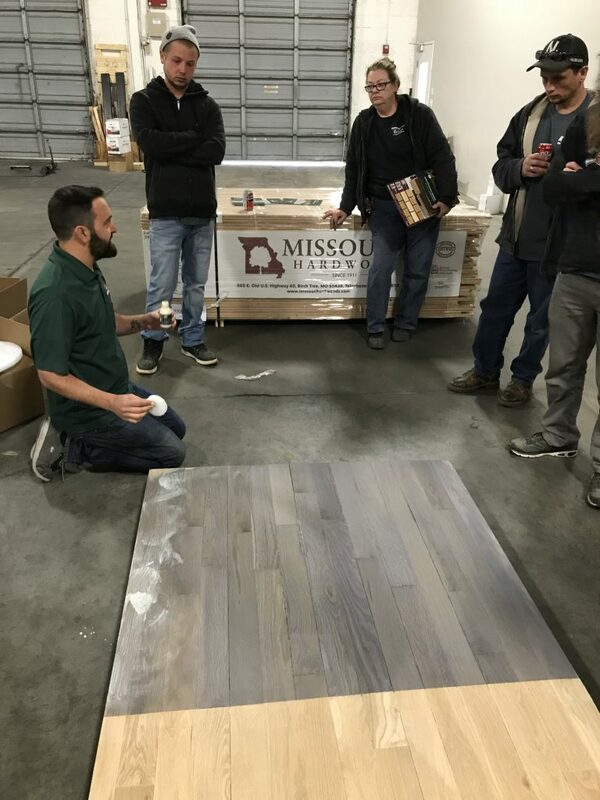 Installers were able to see the product used on our panels and received some samples to try themselves. 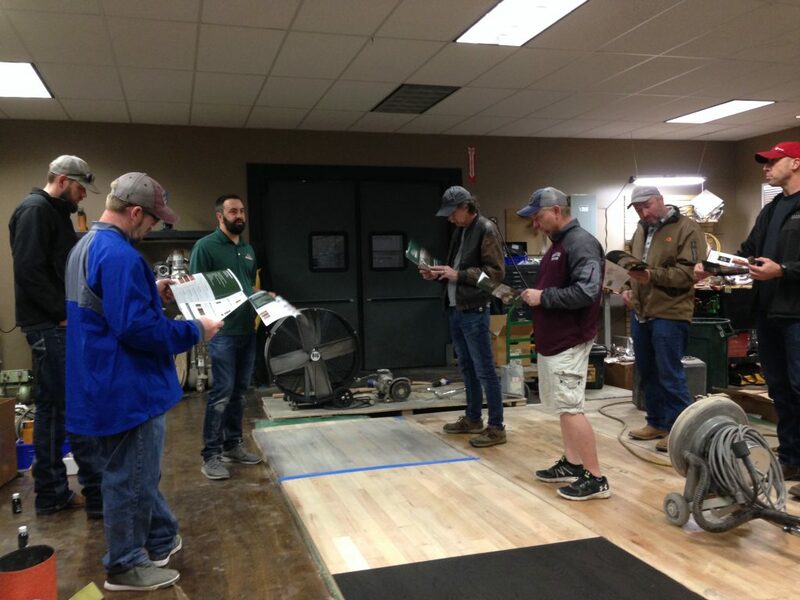 See all of our future events here. Find out about more Rubio events near you on their website here. 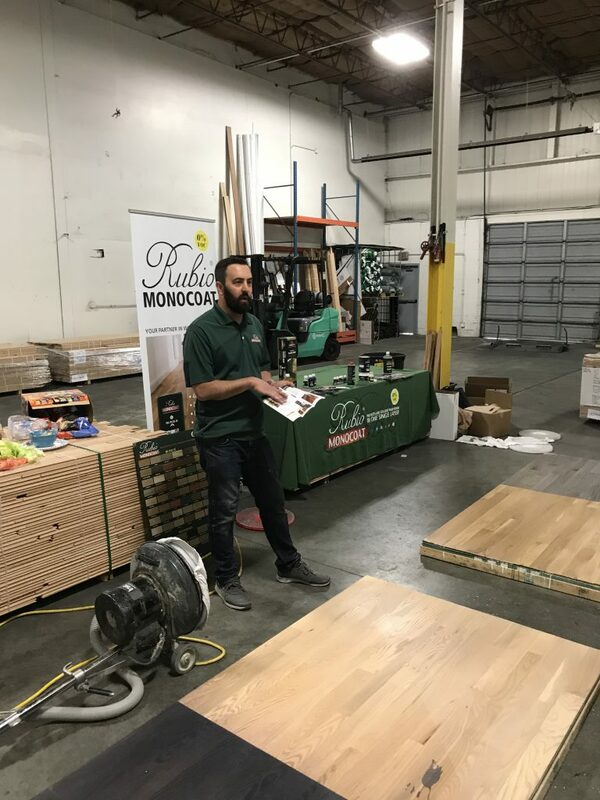 Rubio Monocoat rep, Dave Hanson, teaches our customers about how their one-coat system works. 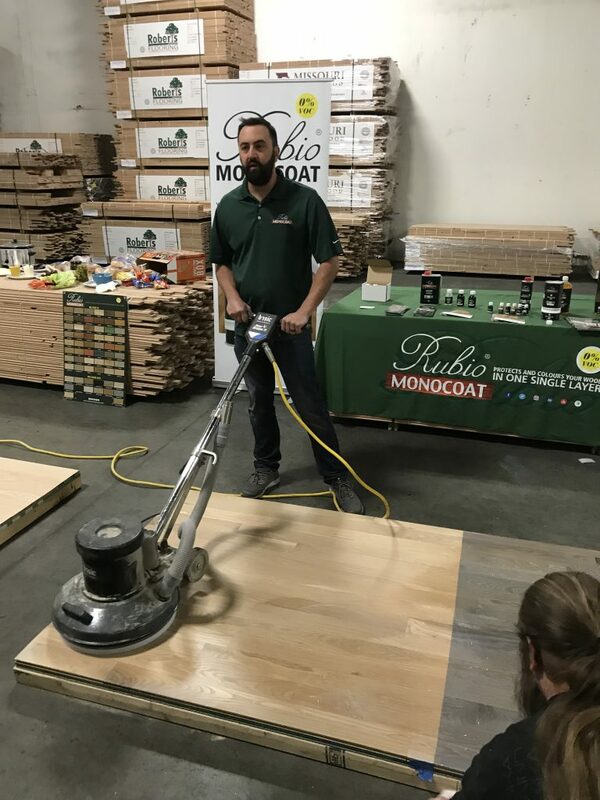 Dave demos Rubio’s one coat system at our Omaha location. 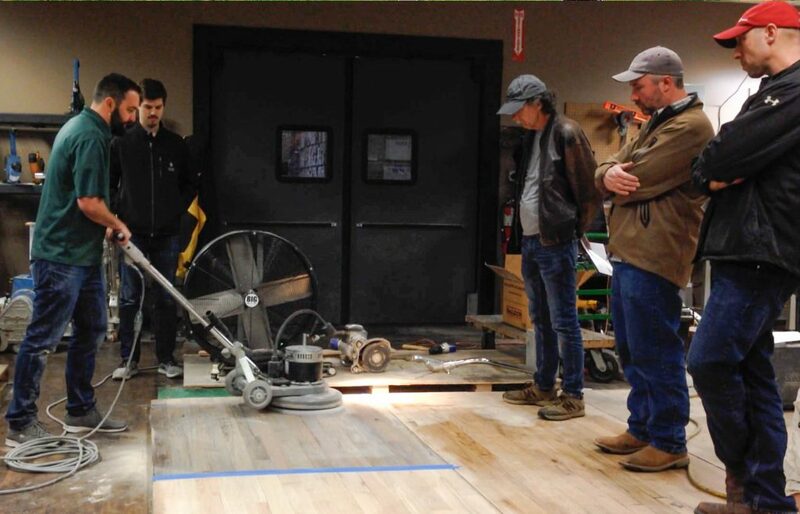 Dave demos Rubio’s one coat system at our Cedar Rapids location.